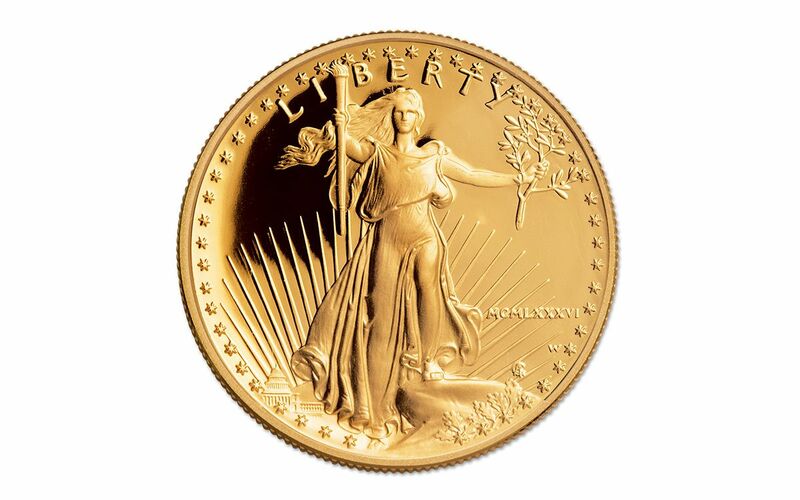 First-Year Issue 1986 Gold Eagle Proofs! What a sight to behold! 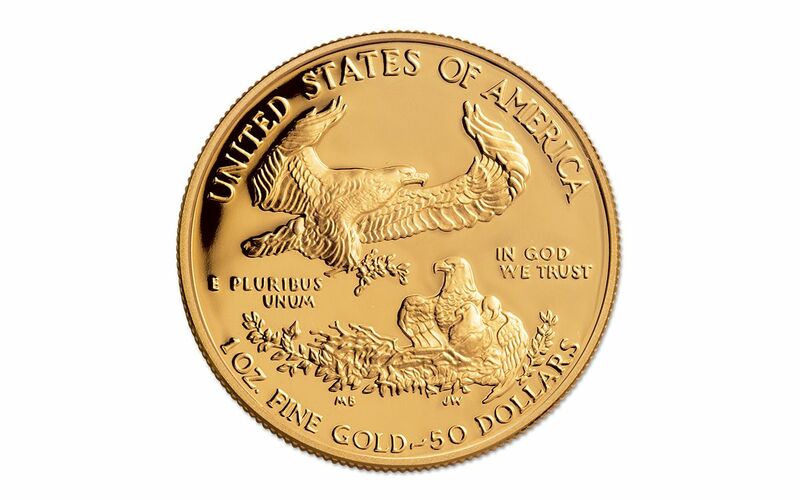 As part of our 30th Anniversary Celebration of the Gold and Silver Eagle series, we're happy to present these first-year issue 1986 $50 Gold Eagle Proofs. 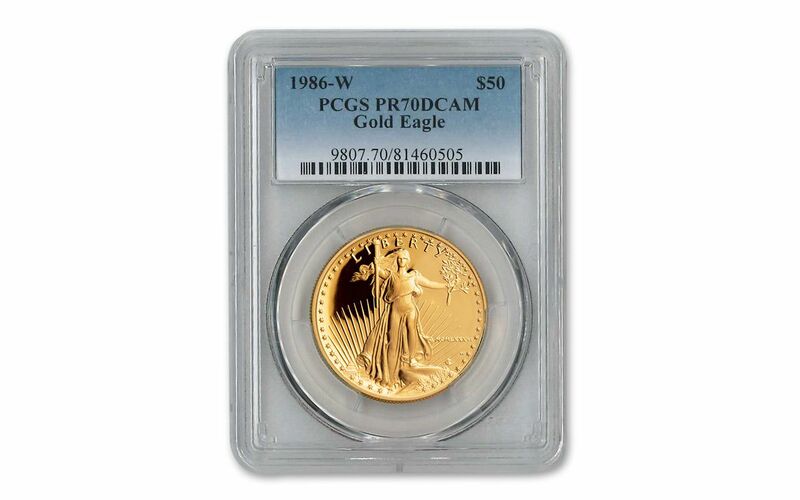 Encapsulated in a protective acrylic holder, each one is sure to be the crown jewel of your Gold Eagle Proof collection. Each graded coin has been certified by Professional Coin Grading Service (PCGS) as perfect Proof-70 Deep Cameo (PR70 DCAM) condition. They simply don't come in better condition! 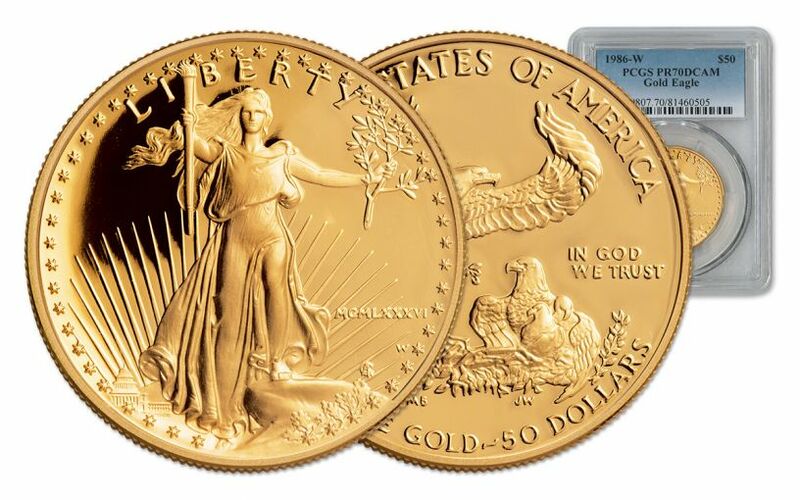 Struck in a full ounce of 91.7% pure gold, these proofs are highly coveted by collectors, and notoriously difficult to find in such great shape. So difficult, in fact, that we've only been able to assemble a mere 15 PR70 Deep Cameo proofs! Suffice it to say, these mirror-like proofs won't last long. Order yours before they're gone!